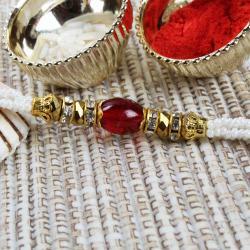 Trio Colors Beads with Golden Beads Rakhi Thread, Packet of Roli Chawal. Rakhi is created with the warmth, sensitivity and care synonymous with this bond of love between brothers and sisters. 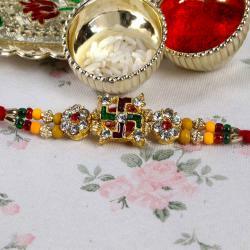 Beautifully designed, ethnic Rakhi is that will definitely look amazing on your dear brother wrist. We have brought for you rakhi with unique designing and the high quality of materials used in Rakhi. 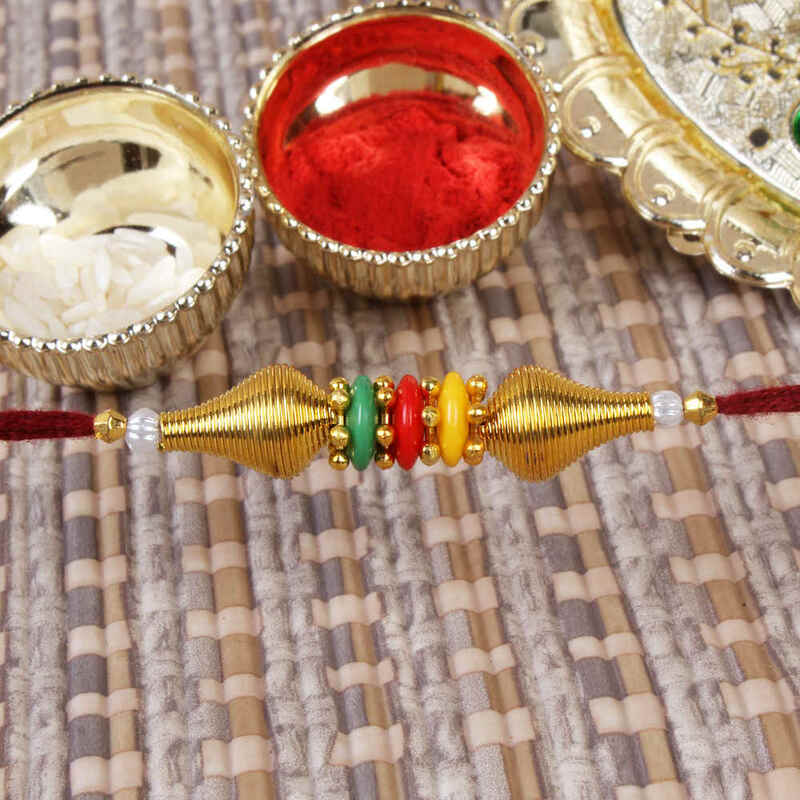 This beautiful rakhi tread is carry trio colors beads with golden beads .This Rakhi gift pack is sure to bring smiles on the faces of all brothers on this Raksha Bandhan. Product Includes: Trio Colors Beads with Golden Beads Rakhi and Packet of Roli Chawal.